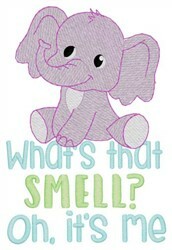 Decorate a onesie, baby blanket or diaper bag with this cute design! It would be the perfect baby shower gift! 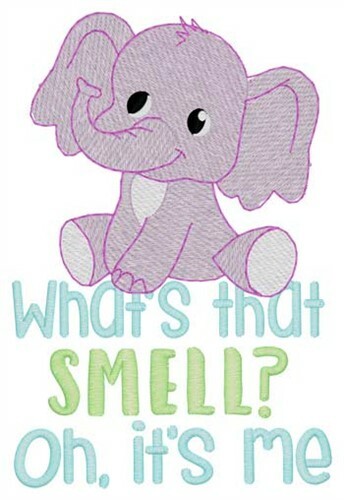 Dakota Collectibles is happy to present Whats That Smell machine embroidery design which has 12332 stitches and is [66.55 mm x 98.81 mm] large. If you would like to view more embroidery patterns please search on our embroidery designs page.